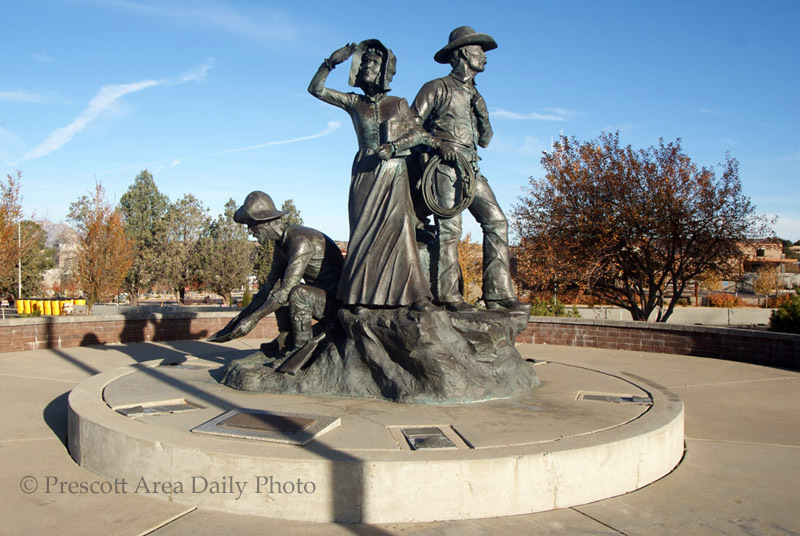 As you come into Prescott from the east, this sculpture is one of the first public art pieces that you will see. The artist is Bill Nebeker. I like it! I'm glad they included the woman in the sculpture. So many times the woman's role in settling the west is overlooked. Nebeker is always good. No, great!